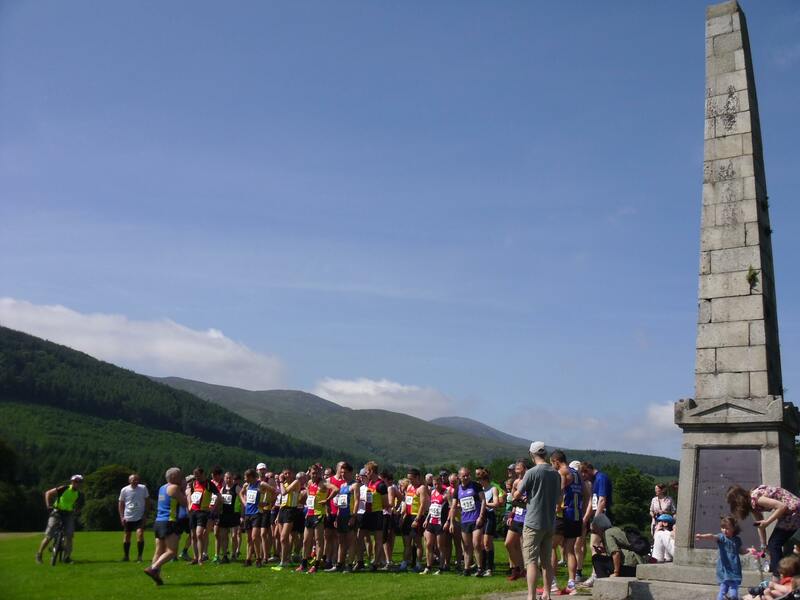 On Saturday the 6th of July the Mourne Runners ran the Tollymore Trail Race. This was the sixth race of ten in the NIMRA Grand Prix. 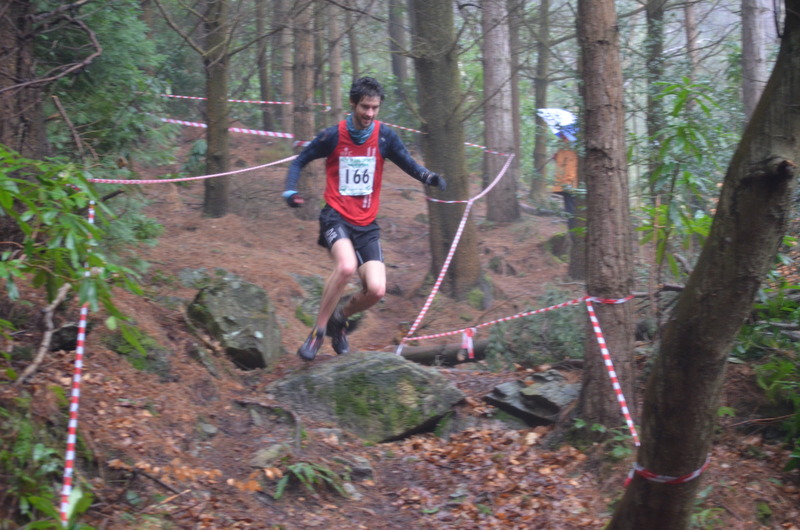 Each race in the series is different from the last; Tollymore is unique in that it takes place solely on the forest paths with no ‘off road’ action. The route for the race was straightforward. Starting at the monument runners headed for the Iveagh Bridge via the youth camp. From there they joined the black route and ran it in an clockwise direction finishing in the field beneath the lower car park. This meant that participants would take in a full lap of the park covering 14 km with three testing climbs along the way. On the start line there were 62 runners of all ages. In a startling development it can also be reported that the sun was shining and that I witnessed people applying sun cream – I KNOW you read it here first. When the gun went David Simpson (Ballydrain Harriers) took off at the front closely followed by Neil Carty (North Belfast Harriers), Don Travers (Newry City Runners), David McNeilly (Newcastle AC), Stephen Cunningham (Mourne Runners) and an oxygen thirsty pack. David Simpson who recently won the East Antrim Trail Series and the Mourne Way Marathon has a lot of trail pedigree. He demonstrated this once again by powering his way around to narrowly beat Don Travers followed by Neil Carty. Just behind the leading trio David McNeilly and Stephen Cunningham, two of the top contenders in this years NIMRA Grand Prix, battled their way around. This cummulated with David, the stronger road runner, taking advantage of the flatter finish to speed off and leave Stevie in his wake. In the ladies race, recent Hill and Dales race victor, Gillian Wasson (Springwell) took to the line to battle with Shalene McMurray (Unattached) and Anne Stanford (Lagan Valley). From the start Shalene was running strongly. On the first climb up from the Iveagh bridge she came charging through a reasonably fast group of runners showing that she had not turned out just for the sun tan. 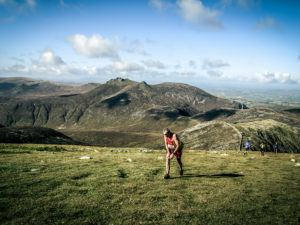 She went on to finish strongly and completed the event in great time of 59.33 with a three minute gap on her nearest rival, Gillian Wassom, followed in third place by Cheryl Denvir. I had noticed that, race winner, David Simpson seemed to have cycled to the race. Knowing that he lives out near Saintfield I asked how many miles he had clocked in the day. It turns out that he started his race preparation by cycling the twenty five miles from Saintfield to Newcastle. Upon arriving he ran up Donard in 43 minutes. This was followed by an easy cycle up to Tollymore. He won the race then cycled home. After finishing a good 8 minutes behind David it makes me feel good to know that he did all that before starting. The next events in the NIMRA Grand Prix are the Donard Downhill race on July 20th and the Commedagh Chase on July 27th. 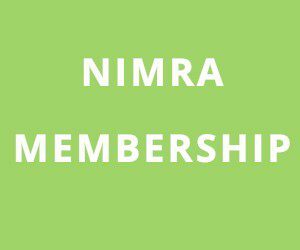 For more details see www.nimra.org.uk.